Red Orchestra 2: Rising Storm (KEY Steam)RU+CIS 99 р. 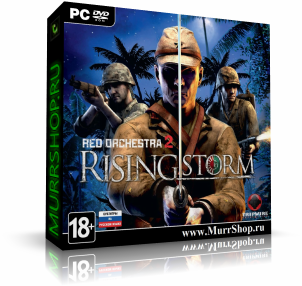 Red Orchestra 2: Rising Storm STEAM KEY RU/CIS 135 р. RED ORCHESTRA 2: RISING STORM - STEAM - 1C + ПОДАРОК 325 р. Red Orchestra 2: Rising Storm ( Steam Key / RU ) 349 р.